This page includes samples of materials I have designed for publication. I also wrote and drew much of what appears in these samples. 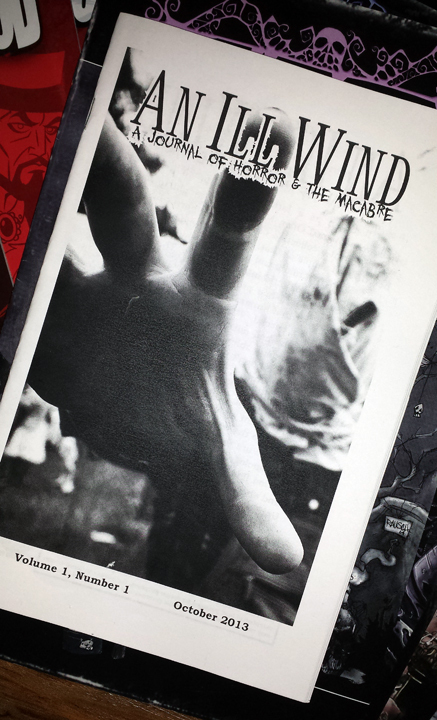 After the samples, you'll find a select list of my published work. These instructional and promotional comics constituted the bulk of my comic book output from 2011-2015 (produced for institutional clients, these books were far more time-consuming than the typical comic book due to the extensive research and preparation for each book, as well as the lengthy institutional approval processes for each production step). 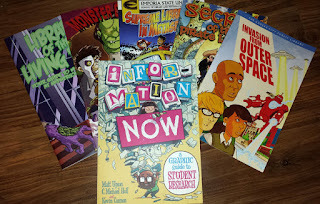 Created as a new means of introducing library users to the basics of information literacy and research fundamentals, these comics caused quite a stir in the library world (the first, Library of the Living Dead, boasts over two million readers worldwide) and even spawned a few imitators produced by other creative teams! 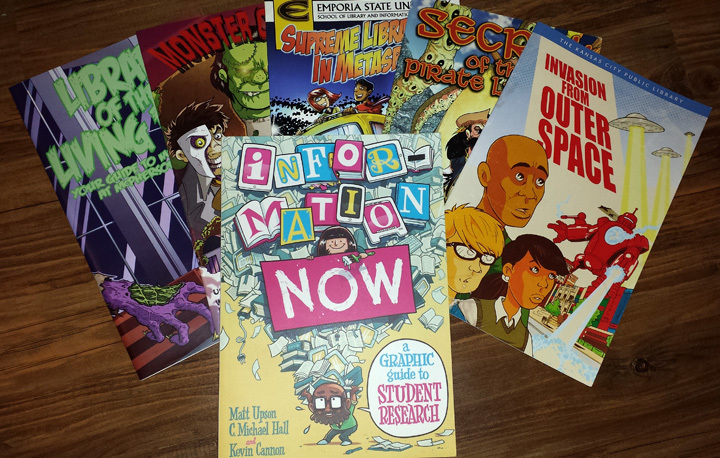 Ultimately, the comics led to a book deal with the University of Chicago Press, resulting in the publication of Information Now: A Graphic Guide to Student Research. Not all of the library comics I created appear on this list. Due to copyright and licensing agreements, not all of the books have been made available online by the client institutions. What follows is a list of some of my published credits. It's incomplete, but serves as a fair overview of my work in a variety of creative, editorial, and design capacities.